Did anyone recognize the job as a Blogger? The task as a Blogger is not easy, like someone thinking even they are not full time Blogger. I’m as a Blogger in 3 years – along of 3 years my journey is quite hard, even I’m freelance Blogger. The name as Blogger have 9 jobs in same time; which are a writer, photographer, stylish, fashion editor, an accountant, sales person, socialite, graphic designer, and web designer. Did its sound like multitask of Blogger? Blogger have many things to do in one time, once they start to be a Blogger. At first, I started to make blog on January 2012 – it’s just like a hobby and I think it’s easy to typing in online journal like blog because it’s fast rather than you writing in a book. After 1 year, I've recognized that I want serious in blogging because I was received quite a lot comment from my families, family and my blog reader about they like to reading my blog. I also active in travelling since 2012 until today and I take this opportunity for create the amazing memories with travelling – at the same time, I want to share this memories with everyone, who have same interest with me. Once, I decide to be a blogger – I know I have to be consistent in my actual working as accountant in Travel agency and freelance blogger. Even I already 3 years be a blogger but I still have many things to learn. It’s not easy to be a blogger but it’s so fun and I feel so enjoy to be a blogger. List all the ideas for new topic – some ideas will pop-up in the head might while I was working in the office. I was using traditional method in this case, which is I always bring my note book anywhere and I’ll write on it, if I got new ideas. Sometimes, I got the ideas when I saw the pictures I was took before this and with it, I get new ideas. Sometimes, I also using my iPhone to typing the ideas too then I’ll combine all the ideas in my note book. Make good researcher – my best friend when I do some research is Google. I can get information in any topics that were related in my research. Sometimes, the facts is really important before write the articles about it. Yes, I know most of my topics in my blog are based on my experience and memories. 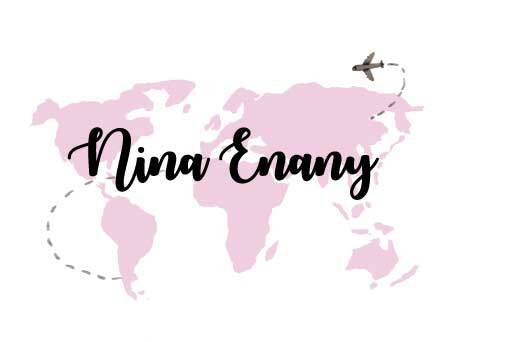 I also reading another bloggers’ blog and I always reading in Bloglovin; in there I can easy access to read a lot of stories from another bloggers in around the world. That why, I love Bloglovin website. Nowadays, I have passion in fashion, style, and trending cosmetics. I learn many things from another blogger too. Thanks for sharing the stories. Take the quality pictures – when to post the pictures in the blog, the quality pictures is more important rather than quantity picture; and to get the quality picture, I've to take many pictures as well until I’m satisfied the pictures that I want to upload in my blog. It’s not easy task as blogger, since I not the professional photographer but I always do try and error in this part. The result by the end is turn great as I want to be. Even you’re not the professional photographer but you also can get the quality pictures after you do try and error until you happy the result you’ll get soon. Take time – don’t be rushing in posting the topics in the blog. It’s your blog, you are the boss and the same time, you’re also the employee but the best result, you need time to finalize of any topics before you update in the blog. It’s okay, if you not have time to update your blog because when you’re rushing in update the topic, the end of result is not really good. I always plan and schedule the topics before update but when I’m so busy, I try to update after a few days past the dateline. Redesign blog – in graphic designer and web designer part, I ask my special friend – Iffa K. to help me since I not really understand in this part. Lucky this year, she willing to help me in redesigns my blog. She have major in graphic designer, rather than me which is have major in accounting. It’s amazing when she make my blog design so beautiful than before. I like her jobs. That all the methods I always do all the times and I know another bloggers also do almost the same methods with me. As you need to do is just enjoy what’s you love to do in your life. Blogging is not really hard when you know the right way. At the same time, blogging also can make extra money to you. Since September 2014, I get quite a lot sponsorship thru blogging until today also I still received the new collaboration project. I’m so happy to be a blogger. I hope all my tips will help the some bloggers too.